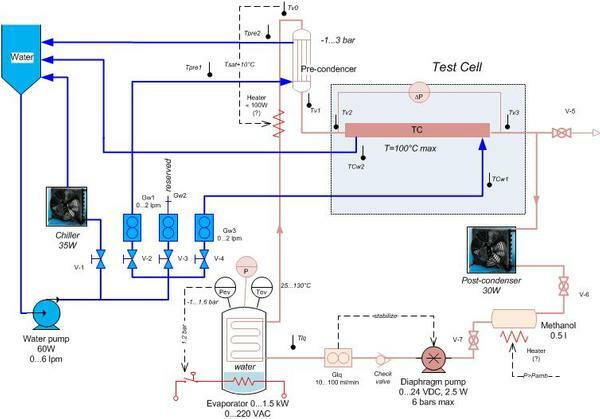 Designing and testing (thermally and mechanically) of a miniature condenser for an aerospace application. We are developing a miniature condenser for a Capillary Pumped Loop to cool an actuator of an airliner. We investigate three condenser designs: plan tubes; microfins; and, microchannels. We have analysed numerically different microchannel condensers and have chosen semi-circular and square cross sections as the most promising designs. 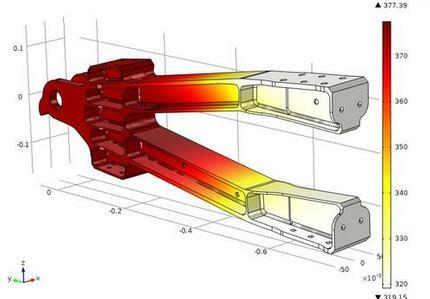 We also used heat transfer and pressure drop correlations to design a plain and microfins condensers. We are now moving to detailed design of the three condenser designs. An experimental set-up has been constructed in order to study convective condensation at low mass fluxes inside differently shaped and different cross section tubes with visualization.